Happy feast of Sts. Anne and Joachim!! As you all know, St. Anne is the patroness of my blog and I’ve asked for her intercession many many times over the past few years, for all of your intentions and for my own. In fact, I just finished another novena to her, in which I included all of you. ❤ Such a great saint, and such a great day! You guys had so many good ideas when I asked in last month’s giveaway for possible ways of honoring St. Anne in a boy’s name! Several of you asked for the results, which I’d planned to compile into one post anyway, and her feast day seemed the best day to do it! Here they are, culled from the comments left on the blog post and those left in the entries on Rafflecopter — you guys had so many great ideas! Can you believe this amazing bunch of names?? You guys did great! I’d love to know which of these is your favorite way to honor St. Anne, and if you’d ever consider any of them for a son in her honor. Have a wonderful feast day! My book, Catholic Baby Names for Girls and Boys: Over 250 Ways to Honor Our Lady, is now available to order from ShopMercy.org and Amazon! It’s a perfect for expectant mamas, baby showers, and just because. Click here to read reviews and endorsements (and if you feel moved to leave a review on Amazon, it would be greatly appreciated! 🙂). I’ve been digging word names related to the faith lately, like Tiber, Shepherd, Vesper, and Rosary. This may or may not be due to my frantic desire to add some unexpected names to our short list for our baby (if a boy), which I really just need to calm down about. !!! I read about a baby with the middle name Banner yesterday, inspired by Psalms 60:6 (“Raise up a banner for those who revere you”), and it got me all fired up again! Anyway, I’d love to hear what Catholic word names you would add to this list! For both boys and girls, because I love making lists of girl names I like as well, even though we’re set with a girl name. Happy Saturday! My July column is up at CatholicMom.com! It’s the winning essay of the second year of the St. Francis de Sales Writing Contest I instituted at my alma mater, in which the student discussed his devotion to Our Lady of Guadalupe. This student won first place last year as well! The judges were the editor of my diocesan newspaper, the superintendent of schools for my diocese, and the campus chaplain at Siena College. Very impressive! and I’m still trying to wrap my head around how grandparents got to have such a strong say? It sounds like Sarah’s great-grandmother especially wasn’t merely voicing an opinion, but was actually naming the baby — I’ve seen references to this kind of thing from time to time and always wondered about it. I think it’s likely an older custom, which explains a lot; I can also see this being a cultural custom. Do any of you have examples of this happening in your family? Do you have any insight into how this happened, including from a generational or cultural perspective? Happy Mother’s Day!! Every year right before Mother’s Day the Social Security Administration (SSA) releases the data on the first names given to the babies born the following year. Yesterday, 2017’s data was released! My first thought was amazement on seeing Logan at no. 5! He didn’t creep in stealthily at no. 10, but jumped right to no. 5 from no. 18! Wow! This seems to be entirely due to Hugh Jackman’s Wolverine movie Logan, which was released in March 2017. From your comments on Instagram, Evelyn also seems to be surprising to some of you. As I mentioned on IG, when my 13yo was three, one of his classmates’ mom had a baby girl whom she named Evelyn, and back then I thought it sounded like such an old lady name. Turns out it entered the top 100 in 2002 for the first time since 1953 and in fact is now, at no. 9, the most popular it’s ever been — its previous highest was no. 10 in 1915. In my mind, it’s part of the Evangeline/Genevieve/Vivian-nicknamed-Evie/Vivi sisters. And in fact Evie increased in 2017 as well! I was interested to see that several names that are also used for girls increased. As the mom of all boys, I’m sensitive to how boys feel about having a name that’s also given to girls; the fact that all these rose in usage suggests to me that it’s not as big a deal as I might think: Rey, Jamie, Rowen/Rowan, Elliott/Elliot, Emory, Eden, Remy, Avery, Rory, Micah. While Michael dropped out of the top ten for the first time since 1942 (!! ), Mike increased in use! There were other classic male nicknames that rose in usage as well, including Tommy, Hank, Billy, and Jack. It seems the letters “ax” are big, as evidenced by the increase in Jaxxon, Axton, Maxton, Jaxx, Dax, Axl/Axel, Jaxton, Daxton, Braxton (I only ever think “Hicks,” but it rose to no. 118, so it’s obviously not a deal breaker! ), and Jaxson. Through my Sancta Nomina glasses I noticed: Coleman, Magnus, Kyrie, Boone, Shepherd, Blaze, Thiago, Casey, Simeon (entered top 1000! Yesss! ), Jasper, Milo/Myles, Agustin, Porter, Francis, Leo, Damien/Damian (woo! ), Sebastian, Matias/Mathias/Matthias, Tadeo, and Sonny (which I love as a nickname for Solanus). And just generally, these increases caught my eye: Caspian (no. 3 on the increase list! It entered top 1000), Lucian (a friend just named her son Lucian), Beau (this and Bo get some decent love here on the blog), Roger, Micheal (a misspelling of Michael? Or do that many people really love the Irish spelling? ), Louis (note that it’s already on the rise — it’ll be interesting to see what little Prince Louis does for the name), Atticus (so glad to see the new Harper Lee book didn’t keep it down — it took a small hit the year after Go Set a Watchman came out, but in 2017 bounced back up to nearly the same spot in as it had been before all that), and Ledger (I’m currently digging word names, and while Ledger certainly brings actor Heath Ledger to mind, it’s also a noun). I thought it was interesting that both Melania and Ivanna (that spelling) increased. Also Oaklynn, Oaklyn, Oaklee, and Oakley! Speaking of Oaklee and Oakley, the “lee” sound dominated the “increased in popularity” list! All of these increased in popularity in 2017: Ensley, Emberly, Paislee/Paisley, Everlee/Everleigh/Everly, Raylee, Zaylee, Kinslee/Kinsley, Kensley, Kenley, Kynlee, Harleigh, Journee, Hailee/Hayley/Haylee, Hallie/Halle, Charli/Charley/Charleigh/Charlie/Charlee, Emely, Novalee, Bexley, Finley, Marleigh/Marley, Callie/Kallie/Kali, Harley/Harlee, Rosalie, Brinley, Jolie, Blakely, Ryleigh/Rylee, Brynnlee, Bailee, Presley (interesting that Zaylee’s on this list but Zelie’s not!). Names that increased for girls that have a counterpart (exact same or perhaps a different spelling) on the boys’ increase list: Sunny, Remy/Remi, Rory, Rowan, Eden, Avery, Elliott/Elliot. I loved seeing Marianna, Giana, Evie, Magdalena, Maisie, Daisy, Dorothy, Juniper, Mercy, Regina, Genevieve on the increase list, as well as — Mary! Yessss!! She only increased one spot, but still! I’d said on the Coffee & Donuts with John & Mary segment (linked to above) that I didn’t think Mary itself would become more popular any time soon (it was recorded on Thursday), but I’d love to be proven wrong! One name I’d never heard of increased: Yaretzi. It’s got a pretty great meaning according to Nameberry. These struck me as the most recent members of the old-is-new club, all of them on the rise: Frida, Deborah, Eileen, Diana, and Nancy. And these seemed too new to be back in fashion again, but they also rose in popularity: Jenny, Tara. I’d love to hear what you all thought about the names that increased in popularity! The 2014 increase of Montserrat, and its variant Monserrat, seems to have been due to a character by that name in the Mexican telenovela Lo que la vida me robó (What Life Took From Me). I wasn’t able to pinpoint exactly why it fell so much in 2017, but the story that kept showing up over and over again as I tried different search terms was that of the volcano on the island of Montserrat (different than the mountains in Spain from which Our Lady gets her title Our Lady of Montserrat) that leveled its capital city and left part of the island uninhabitable last time it erupted, and which may be showing signs of erupting again (here and here). Does anyone else have a better idea of why the name dropped? Speaking of Marian names … One of my very favorite things this year was counting how many Marian names are in the top 100! 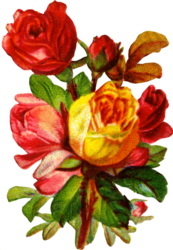 Which gave me a great idea for a Mother’s Day giveaway! There are several names in the top 100 for both boys and girls that are included in my book of Marian names — the first three readers who email me at sanctanomina at gmail dot com with the most complete list of those names between now and next Saturday at midnight Eastern time will receive a copy of my book (signed by me if you’d like, though I totally get it if you’d rather not)! I hope you’re as excited to receive one of my books as I am to give them! I know you’ll all love it! I hope you all have a wonderful Mother’s Day, whether you are a mother or not, and remember that Mary Our Mother loves you very much! I don’t have a consultation to post today, but I was wondering: What “meaning” nicknames can you think of? In the name consultation Abby did for me, she suggested the name Arthur with the nickname Bear, since Arthur is generally considered to include an element meaning “bear” and since I had Benedict nicknamed Bear as a possibility on my list (in fact, I came to really love Bear as a nickname after reading Regina Doman’s The Shadow of the Bear, in which the male lead’s given name is Arthur, but he goes by Bear, so I loved seeing Arthur on Abby’s list of suggestions!). My boys and I were watching the movie Home the other day, and I was reminded of how cool I thought it was that the main character Tip’s given name is Gratuity. Gratuity nicknamed Tip! I tried to think of other such examples — for a while, I really liked the idea of Boone as a nickname for Benedict, with Boon(e) meaning “good” and Benedict meaning “blessed” — close enough I think! Going off of the Vera/Verity nn True idea above, Veronica (“true image”) could possibly be nicknamed True or even Truly (like in the film version of Chitty Chitty Bang Bang!). I’m kind of loving Truly for Veronica! The “ard” part of Gerard means “brave, hardy,” so maybe Gerard nicked Hardy? This all reminded me of the Cakies family, who have kids True, Brave, Soul, and Glow — the strategy discussed here of choosing a more traditional given name and using a meaning nickname could satisfy the itch for a True/Brave/Soul/Glow name, while having a “safer” name on the birth certificate. Do you agree? Anyway, I’d love to hear other ideas you have! And definitely check out the comments on that Swistle post, I was amazed by how many ideas her readers came up with! 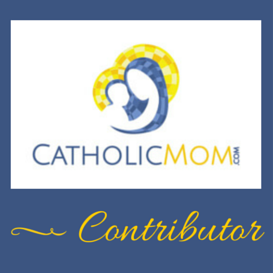 My March CatholicMom column is up, and a question I need help with! My March column posted today over at CatholicMom.com: To Mary Through Three March Saints! Also, I read an intriguing post over on the Baby Name Wizard recently, and though some of the comments on that post make some sense (my handle there is traleerose), and I’ve researched it a little to verify those comments and find more certain answers, I haven’t been satisfied with what I’ve found, and I wondered if you know the answer to the question: Why isn’t Jesus used as a given name in English? I’m sure there are some instances of Jesus as a given name in English, and the SSA data shows that 3065 boys (and 8 girls [?]) were named Jesus in the U.S. in 2016, but their data doesn’t include accent marks, so I’m confident that most, if not all, of those are Jesús, which brings up the most interesting part of this question: Jesus isn’t well used in English, but Jesús is in Spanish. I tried to find an official (or as close to as possible) Church stance on this, but didn’t come up with anything. The comments left on the BNW post suggest that the Muslim presence in Spain encouraged the use of Jesús as a given name, which I haven’t yet verified, but is interesting to consider. Joshua and Jesus are variants of the same name, and Joshua is well used; the Christ- names are well used, certainly, including Christ itself; Emmanuel has good usage; even Messiah has been bestowed on babies, so I admit I’m a bit baffled as to why Jesus isn’t used in English. I did have the thought when I bowed my head at the name of Jesus recently that if there were little ones running around named Jesus, I’d be constantly bowing my head out of cultivated habit! I don’t do so when I hear Jesús, though I should — it doesn’t trigger that automatic bow that hearing Jesus does. I wouldn’t be surprised to find that the answer is simply that Jesus is considered too holy for common usage by those who speak English (at least here in the U.S.). The name of Mary has a history of being considered too holy for common usage in Ireland, for example — it was a temporary and culture-specific consideration — so perhaps it’s the same with Jesus? Perhaps for today, in English-speaking families, naming a baby Jesus is foreign to Christian sensibility, as the Code of Canon Law puts it? If any of you have any info about this — any sources you can point me to that explain this — please share them! My ideal would be anything from the Church, but I’d be happy to read anything authoritative on this topic. Thank you for your help! Reader question: Is Patton too General? I told her that I’m not really sure what I think about the General Patton connection. For me, General Patton wouldn’t have been my first connection at all! First, I would have thought of Patton being a diminutive of Patrick (I love that this mama knows that! ); second, I would have thought of the paten at church. You can see where my head’s at! Haha! Names and faith all the time! A distant third would be the actor Patton Oswalt. But I did ask my husband what his gut reaction was when hearing the name Patton, and he thought about it for a minute (so much for gut reaction!) and said, “Well, there’s General Patton,” but he didn’t seem to think it was a negative or a dealbreaker. As for her “son carrying the presumed namesake of a person not canonized or family,” if I named my son Patton and someone asked about his name, I would always start with, “It’s a variant of Patrick that we really like.” This would tie the name closely to St. Patrick, both in the parents’ minds and those who they talk to, and of course St. Patrick would be his patron. Then if they brought up the General they could also say, “Yeah, he’s pretty cool,” and move on. Do you all agree? Another option is to use Patrick as the given name, and use Patton as the nickname, which I also quite like. Do you agree that’s a good option, or do you think Patton as the given name is a better idea? Please let me know how you would advise this mom?